Which Box has the Gold ? and the other two are empty. A Printed message contains in each Box. and the other two are lies. 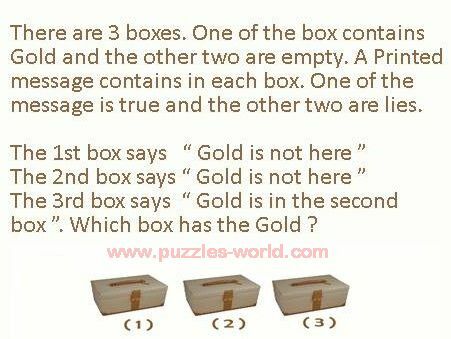 The 1st box says "Gold is not here"
The 2nd box says "Gold is not here"
The 3rd box says "Gold is in the second box". Which box has the Gold? The Message on Box 2 is the truth and the other 2 lies.